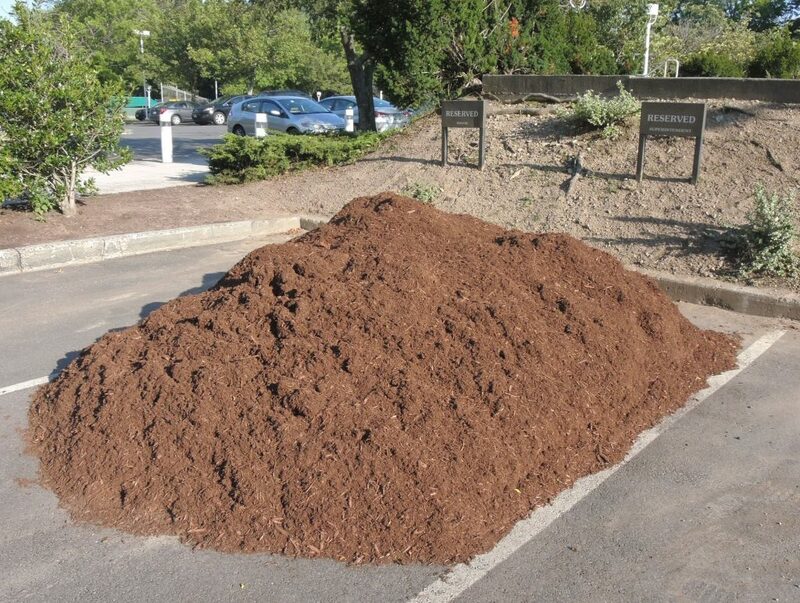 What’s that in the Superintendent’s parking space? “The start of the 2018-19 school year also marks the beginning of Connecticut using a new Education Cost Sharing (ECS) formula to distribute approximately $2 billion in state education aid to local public school districts,” according to a Monday email from Katie Roy of the Connecticut School Finance Project. Roy spoke about the funding changes in January at a Norwalk forum; Monday’s email offers a statistical analysis town-by-town of the changes. “In addition to the phase-in schedule, the new ECS formula also contains changes to the formula’s weights and to its variable (the Base Aid Ratio) that determines each community’s ability to financially support its public schools. To learn more about these, and other, aspects of the new ECS formula, click on the links below for more details and information. The Connecticut School Finance Project also offers an ECS Formula Component Comparison Tool, a Revised ECS Grants for FY2019 with Comparisons to Previous Funding Levels and an Interactive Model of ECS Formula. Norwalk High School’s spiffed-up exterior is drawing many positive comments. The formerly drab and dirty-looking grey exterior has been painted green in places and a fresh-looking grey in others. “It looks like a school,” Common Council member Barbara Smyth (D-At Large) said recently. “I’ve heard a lot of good responses as well. It does make it feel homey and really is appealing to the eye,” NHS SGC member Stephanie Corrales wrote. The Sherwin Williams rubberized coating comes with a 5-year warranty and technicians measured the thickness of the paint as it was applied, Building and Facilities Manager Alan Lo said at the Sept. 5 Council Land Use and Building Management Committee meeting. The work cost $280,000, Lo said. 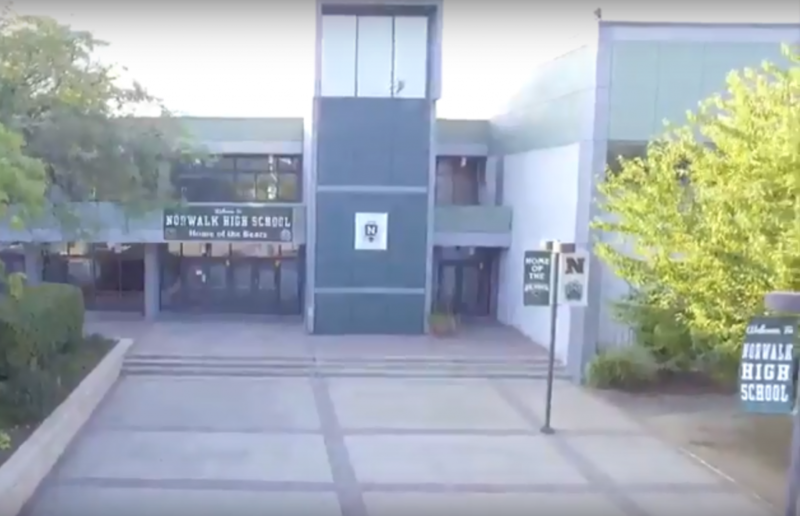 NHS sophomore Trevor Cooper wrote on YouTube: “They did a TERRIFIC job making (NHS) look less industrial.” Cooper, who runs Photography by Trevor (IG: @Photography_by_Trevor), provided NancyOnNorwalk with drone video featured below and above. More than one person had the same thought on Aug. 2: Is someone sending Norwalk Superintendent of Schools Steven Adamowski a message? 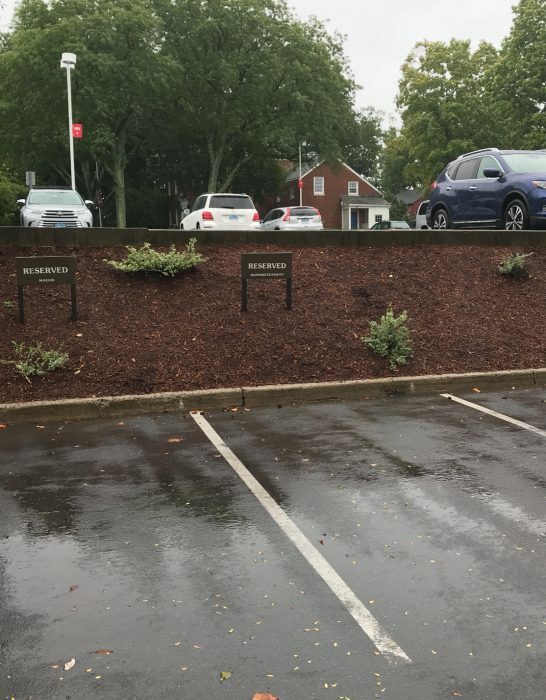 Adamowski’s reserved parking space at City Hall was filled with what one reader called a “big pile of dirt,” meticulously placed just within the white striping. At the time, controversy raged over West Rocks Middle School leadership: a pre-termination due process hearing had been held for then-Principal Lynne Moore, and School Vice Principal Joe DeVellis had been reassigned to Roton Middle School. Moore has since been reassigned to Norwalk High School. Wow, great video of NHS!!! That is the best NHS has ever looked! Nancy, Nice one on the ECS increases … those are cumulative, not annual increases. If you look at the math, those increases are barely keeping up with inflation … Did our State Senator provide the data in that format? Too bad he isn’t really standing up for us in Hartford! Great job on the drone footage!